Going to the pub after work can be dangerous. Stick to soft drinks, and you'll be paying over the odds to drink miniscule bottles of Britvic orange. Plump for pints and you'll be doing a poor copy of Dylan Moran's Belly Savalas joke by 11pm. 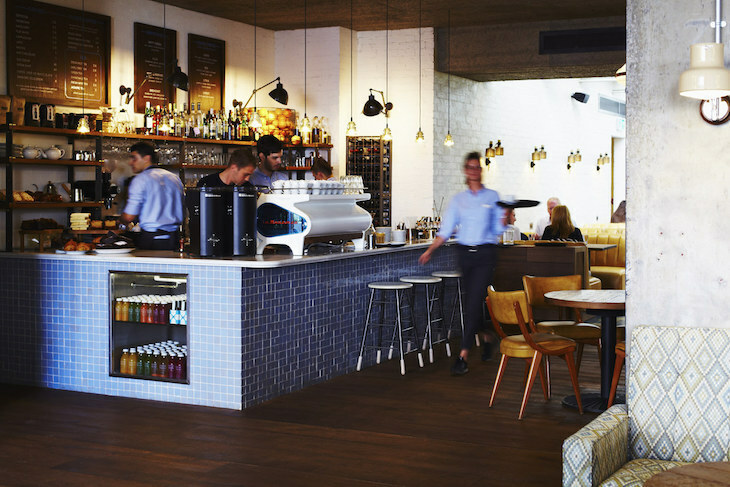 Smart slurpers: head to one of these cafés. Chat over a couple of coffees, flick through a book, and wake up without beer fear the next day. 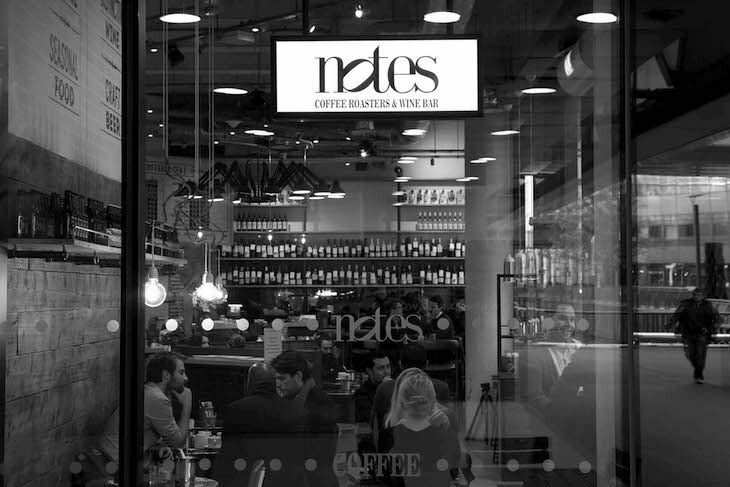 Notes — renowned for its delicately roasted coffee — has branches in Moorgate, Canary Wharf, in the Gherkin and on Granary Square. Its original spot on St Martin's Lane remains the best. By night it's lit with candles, and has a snug, almost pub-like ambience. Hunker down and tuck into the Spanish almond cake, and if you feel like a drink drink, turn to the wall of wine. Notes, 31 St Martin's Lane, WC2N 4ER. Until 6pm Sundays, 9pm Monday-Wednesday and 11pm Thursdays and Fridays. The café at this institution's new-ish home on Charing Cross Road is open until 8.30pm most evenings. 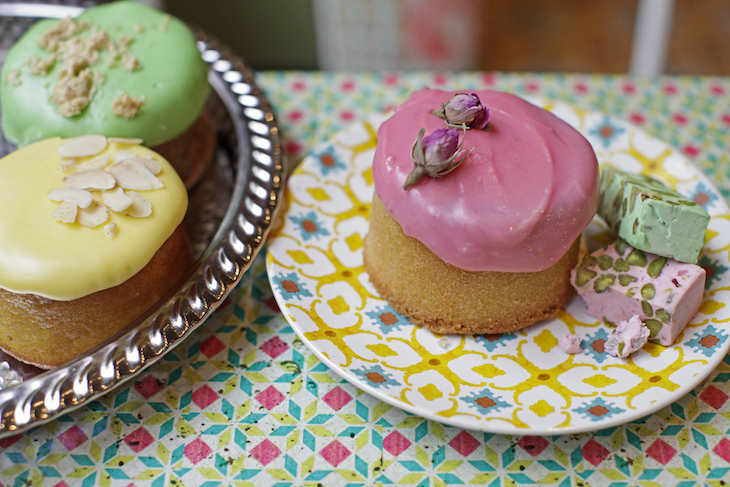 Most of the cakes go like, er, hot cakes — but there are usually two or three still available for the evening crowd. If you're worried that coffee will give you bedtime palpitations, opt for one of the Hackney-made Square Root sodas. The hard surfaces mean it can get quite noisy (maybe a bit ironic as it's somewhere lots of people come to read). If you can't be dealing with that, bring a pair of headphones. 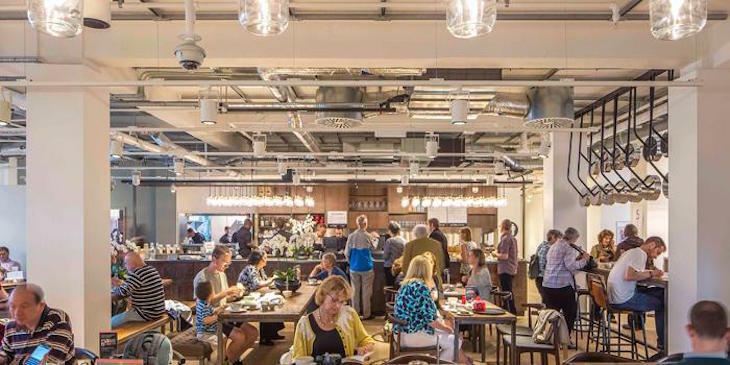 Café at Foyles, 107 Charing Cross Road, WC2H 0DT. Until 8.30pm Monday-Saturday, 5.30pm Sundays. 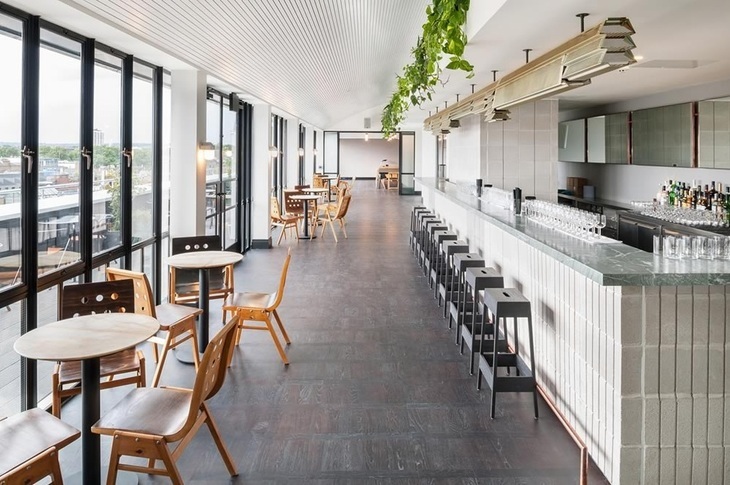 Hubbard & Bell is a bit like a West End Ace Hotel: midcentury-style chairs, pendant lights and a ludicrously broad menu that includes ice tea, cold-pressed juices, matcha lattes, fresh mint tea, filter, aeropress and chemex coffees. Indecisive? Avoid. 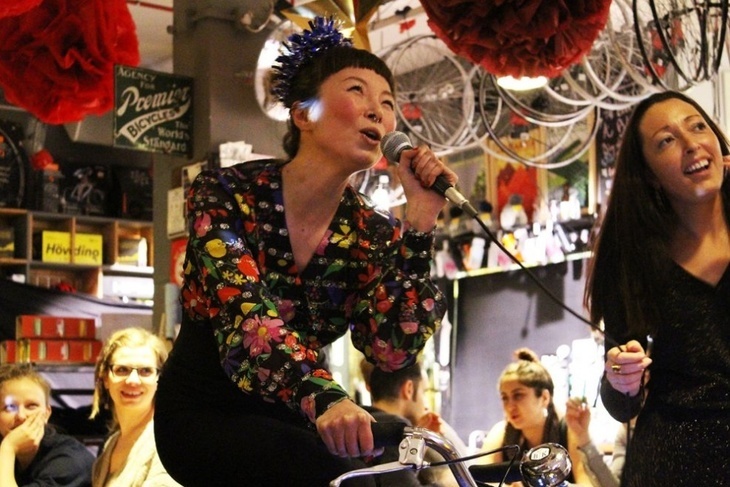 Here's a café where you can stay properly late — 2am on six days of the week. If you want to force yourself to get that essay done/novel written, you've found the place to do it. Hubbard & Bell, 199-206 High Holborn, WC1V 7BW. Until midnight Sundays, 2am Monday-Saturday. 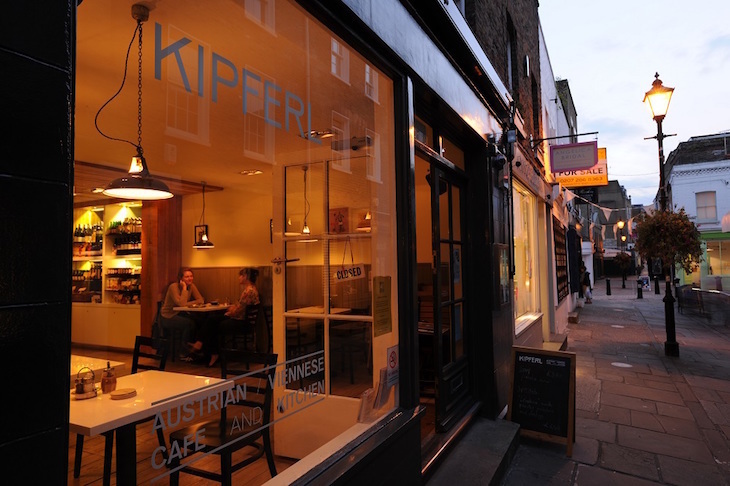 Kipferl, 20 Islington High Street, N1 8ED. Until 10pm. Look Mum No Hands! 49 Old Street, EC1V 9HX. Until 10pm every night. And 101 Back Church Lane, E1 1LU. Until 11pm on Thursdays and Fridays. 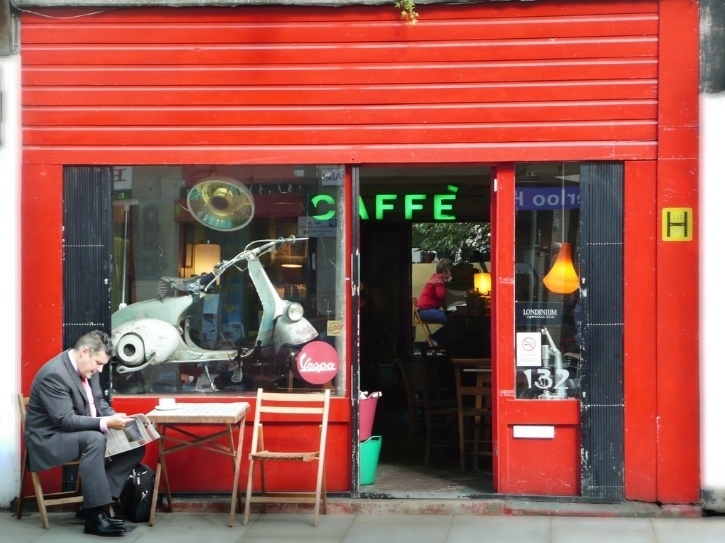 Scooter Caffé, 132 Lower Marsh, Lambeth, SE1 7AE. Until 11pm, and midnight Fridays and Saturdays. This café/bar — on the southern end of London Bridge — brings a touch of east London hip to the area. London Grind serves snacks and cakes in the evening as well as San Pellegrino sodas and quality teas and coffee. OK, the whole exposed brickwork/neon signs thing is well-worn — but this place is still the perfect antidote to the many trad pubs around here. 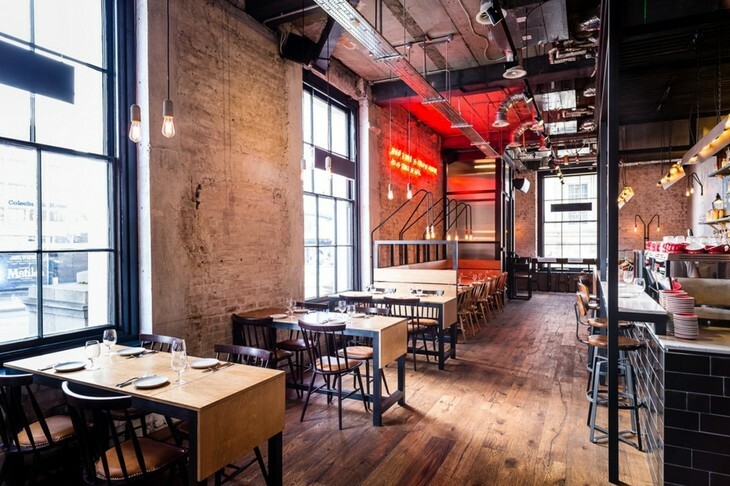 The sister venue on Old Street roundabout is also good, although not open as late. London Grind, 2 London Bridge, SE1 9RA. Until 7pm Sundays, 11pm Monday-Thursday and midnight Fridays and Saturdays. Keep it classy at this venue on Shoreditch High Street. The mid century-style bar in the lobby is usually crammed with freelancers; look out for pairs of chairs or settees away from the glow of a dozen Macs, and enjoy the gorgeous interiors. If ti's warm, share the terrace with fellow hipsters. Ace Hotel, 100 Shoreditch High Street, E1 6JQ. Open 24 hours. Comptoir Libanais has some treats to keep the wolf from the door while you sip a refreshing mint tea. If you're off the caffeine in the evenings, Comptoir Libanais does a cracking fresh mint tea served in a silver teapot. They also serve a mean baklawa, should you need a little snack to tide you over till teatime. The chain has spots all over London but the Poland Street venue in Soho is a particularly nice place to people-watch. Comptoir Libanais, various branches. Until 10pm Sunday, 11pm Monday-Saturday. 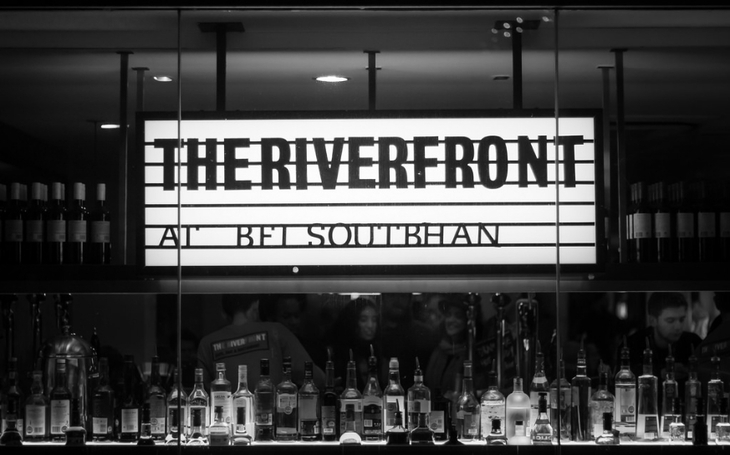 The BFI's been a fine date venue for some time (because: waterfront setting, films, central location). It's also an excellent place to stop if you're looking for a coffee. Sit back and watch as people ease and bungle their way through romantic liaisons. Benugo, BFI Southbank, SE1 8XT. Until 10.30pm Sunday, 11pm Monday-Wednesday and 1am Thursday-Saturday. One of the great losses on Berwick Street, this Aussie cafe opened a branch in Whitechapel in 2014 that does the same great food its Soho branch did. A cake counter to die for and a calm, softly-lit indoor space to chat and catch up make this a nice place to bring someone, and super convenient after a film at the Genesis. 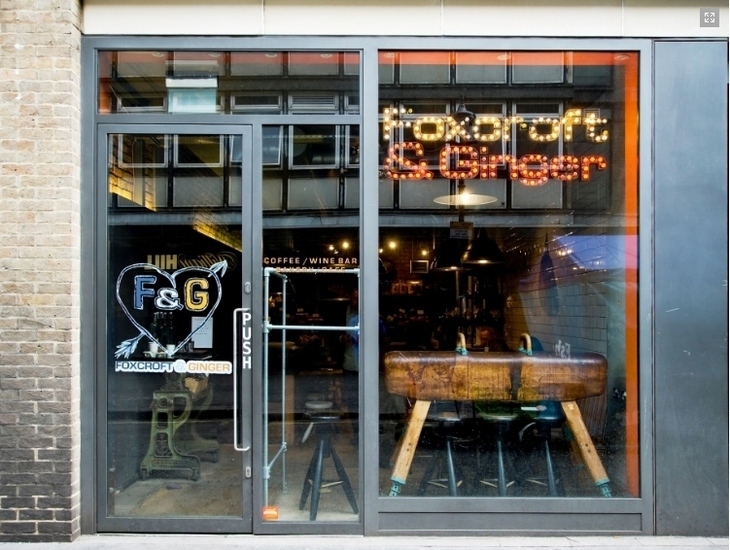 FoxCroft & Ginger, 69-89 Mile End Road, E1 4TT. Until 10pm every night.